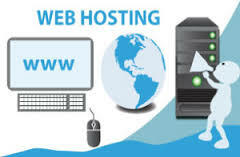 Web hosting is the service that makes your website available to be viewed by others on the Internet. A web host provides space on its server, so that other computers around the world can access your website by means of a network or modem. 1.Dedicated hosting - is specialised hosting. It is much more sophisticated and the most popular type of hosting. With dedicated hosting, you can rent an entire server for yourself and you can gain access to all the web host provider’s resources to host one or more sites. With dedicated hosting, either you or your web host provider owns the equipment. 3.Root server hosting/semi-managed hosting - This is a form of dedicated hosting. Root server hosting gives uninterrupted internet connectivity. It is flexible in that, you can choose hardware specifications and operations systems that are best suited to your needs. 4.Shared Hosting/mass hosting/virtual hosting - Your content and applications are uploaded into a server which is then shared with other customers who also use the web host. The web host owns the equipment and the server and they have technicians who monitor and manage the servers.